Each year at Easter time, I pull out one of my favorite recipes to serve: a layered berry trifle. One of my favorites includes layers of berries, a mix of cream cheese with whip cream (I love using Truwhip as a replacement for Kraft Cool Whip. It is so delicious, holds up well, and is healthy alternative! 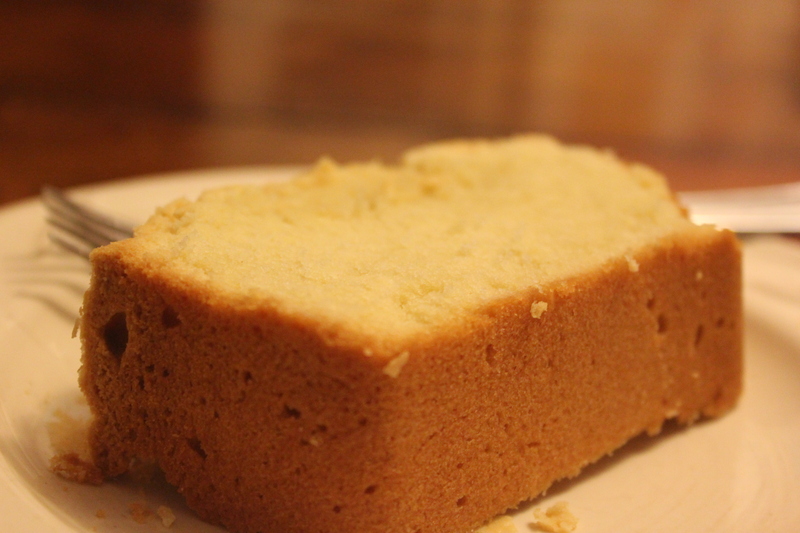 ), and dense gluten-free pound cake. Now, I will admit: Each time I have made this, I have purchased the homemade pound cake from our local health food store instead of making my own. Reason being: It is quicker and more simple! Hey….we can all appreciate that, hey?! But this Easter, I made the mistake of stopping at the store the day before the holiday to pick up my pound cake, only to realize that they were all out of what I needed. I shouldn’t have been surprised, right? 🙂 So, I decided in that moment, that this would be the year that I would attempt my own, and quickly did a web search for a gluten free pound cake recipe. After searching several, I found this one from Allrecipes, adapted it to be gluten free. Honestly, I could not get over how easy and how absolutely delicious it was! It worked beautifully in my trifle and even had leftovers for the hubby. * With a mixer, cream butter and cream cheese together until smooth. Then gradually add the the sugar and beat until fluffy. *Next add the eggs, one at a time. Beat, well with each addition until egg is completely incorporated. Add the flour and stir by hand. Finally, stir in your vanilla extract. *Credit for the recipe goes to Nanci from Allrecipes. Thank you, Nanci! 🙂 Slight alterations were also made after reading some of the reviews on the recipe as well. Thank you!